Cheryl, a registered psychologist and relationship coach with 25+ years experience, has a sincere and genuine desire to assist individuals and couples in creating stronger, healthier and more satisfying relationships. Described by both clients and colleagues alike as warm, open, personable and compassionate, Cheryl’s relaxed style promotes a comfortable, yet safe, environment within which to explore your relationship issues. Cheryl’s primary areas of interest are relationship and family psychology. Because Cheryl trained directly under the tutelage of Drs John & Julie Gottman in the Gottman Couples Therapy Method she has an up-to-date, evidence-based approach to her work with clients. She also draws upon key relationship therapies including emotion-focused, attachment, and psycho-dynamic. Importantly, Cheryl’s understanding of the connection between psychological experience (for example depression, anxiety and anger) and relational problems informs her holistic approach which gently and effectively supports both individuals and couples in their quest to reduce their emotional pain. Cheryl provides counselling in all areas of life and relationship including: remaining connected (or recapturing the ‘spark’) over the long-term; managing conflict; dealing with betrayal and loss of trust; negotiating parenting-hood, blended & step-families, re-partnering and rebuilding after separation; and navigating the potential ‘minefield’ of extended family. Cheryl also brings a practical focus to her work in the area of communication skills training, assertiveness coaching, and anger management. 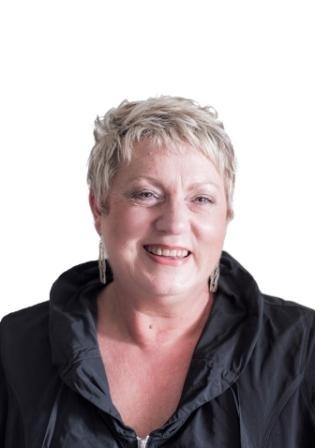 Cheryl is a Member of the Australian Psychological Society and is recognised as a leading practitioner in the field of relationship counselling. She has served over a number of years on several relationship community bodies including the editorial advisory board of ‘Threshold’ (Australia’s leading journal of marriage and relationship education) and the National Committee of Marriage and Relationship Educators’ Association of Australia (MAREAA). Prior to establishing her private practice Cheryl was employed for 8 years as a senior manager and psychologist in one of Victoria’s largest not-for-profit relationship counselling agencies. Cheryl welcomes telephone and skype counselling for clients who prefer these modalities, or for whom attending face-to-face sessions is problematic.